T.S. 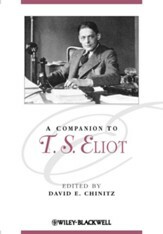 Eliot is one of the most important and influential poets of the twentieth century. 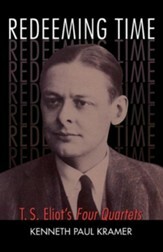 His unique and innovative evocations of the folly and poetry of humanity helped reshape modern literature, with poems such as "The Love Song of J. Alfred Prufrock," included here, and most notably, the title poem, "The Waste Land," his ground breaking masterpiece of postwar decay and redemption. 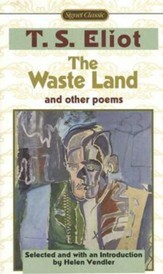 Since its publication in 1922, The Waste Land and Other Poems has be come one of the most widely studied texts in English literature. On of America's most prized essayists takes a poignant look at two major elements that shape society--religion and culture. Originally published as two separate essays, each explores the very foundations on which modern-day societies are built. In the first essay The Idea of a Christian Society, T.S. 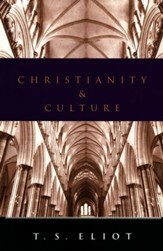 Eliot examines the undeniable link between religion, politics, and economy, suggesting that a real Christian society requires a direct criticism of political and economic systems. T.S. 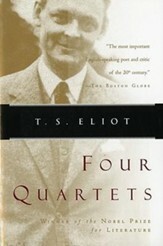 Eliot was the dominant force in twentieth-century British and American poetry. With poems such as "The Love Song of J. Alfred Prufrock," he introduced an edgy, disenchanted, utterly contemporary version of French Symbolism to the English-speaking world. With his masterpiece "The Waste Land," he almost single-handedly ushered an entire poetic culture into the modern world. And with his enormously influential essays he set the canonical standards to which writers and critics of poetry have adhered throughout our era. 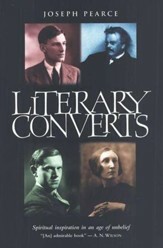 Literary Converts is a biographical exploration into the spiritual lives of some of the greatest writers in the English language: Oscar Wilde, Evelyn Waugh, C.S. Lewis, Malcolm Muggeridge, Graham Greene, Edith Sitwell, Siegfried Sassoon, Hilaire Belloc, G.K. Chesterton, Dorothy Sayers, T.S. Eliot, J.R.R. Tolkien, and more. The role of George Bernard Shaw and H.G. Wells in intensifying the religious debate despite not being converts themselves is also considered. Many will be intrigued to know more about what inspired their literary heroes; others will find the association of such names with Christian belief suprising or even controversial.